Good communication is one of life’s key skills. Being able to communicate well can help you navigate most of life’s challenges, and in particular, a relationship breakdown. As separation is an emotional crisis first and foremost, many emotions can get in the way of effective communication. But without it, the legal and financial negotiations can be much more difficult, and have a worse outcome for all involved. 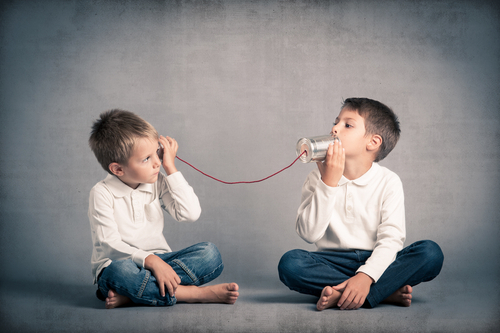 There are five communication styles that most people fall into. While we usually fall back on one style in particular, it’s common for people to change style depending on situations. The aggressive style is probably what most people expect in a divorce; the combative style that sets out to win. It usually accompanies a selfish attitude, which doesn’t take into consideration the long-term damage or how it will affect others, as long as they “win”. This communication style leads to others feeling hurt, humiliated, resentful, and uncooperative. If both partners are aggressive, it’s unlikely either will get what they want, and both parties will walk away angry and at a loss. This style usually stems from a feeling of lack of power; perhaps from the partner who has been left. Passive-aggressive people may seem to be cooperating, but make snide comments or are angry behind the scenes. Passive-aggressive behaviour doesn’t usually end the way the person wants it to. The other partner feels hurt and confused, and because this style doesn’t allow for feelings and needs to be expressed, nothing gets resolved. The healthiest communication style is the assertive style. People who communicate this way are respectful of both themselves and others, are expressive of their feelings and what they’re asking for, and usually have good outcomes. This style works to make the other person feel trusting and calm, and consequently more cooperative. In sensitive situations, such as divorce, this is the best way to discuss things. Submissive communicators want to avoid conflict, and will often succumb to others’ demands in order to do so. This doesn’t result in a healthy outcome either, usually for the submissive person, and this behaviour can be distancing for people who try to help them. This style is what it sounds like. Rather than communicating directly, manipulators are controlling and use tricks and hints to get what they want. They may cry and make people feel sorry for them, rather than asking outright for what they want. This style usually leaves people feeling frustrated or guilty – negative emotions that don’t lead to good outcomes. You may not naturally be an assertive communicator, but with some conscious effort, you can bring your best communication skills to the table. This is one not many people do naturally! Make sure to really listen (don’t interrupt) and understand what the other person is saying and what they feel. Explain how you feel and what you need, and be specific. People won’t necessarily understand what you mean, so make it clear. What is the end goal of these communications? Don’t try to win an argument just for the sake of winning, think about the bigger picture. Try to keep your cool throughout discussions, because a clear head will lead to the best negotiations. If you feel yourself getting worked up, take a moment, step out if you need to, and calm down before continuing talks. Respect yourself, your boundaries, and your needs, as well as those of other people. Like they say, practice makes perfect. The only way you’ll improve your skills is to give it a go. Practice with friends, family, and even your representation. A MELCA divorce is unique When you choose MELCA, you walk away with a lot more than just a legal divorce. We understand that divorce is an emotional issue with legal and financial consequences – not the other way around. This means that we take the time to see the whole picture: who you are, what your family needs and how to best set you up for a positive future. We provide you with a complete personalised approach to separation…without court. We are experts in separation, and can help your family to preserve your wealth and relationships, ensuring that your privacy is kept at all times. MELCA is not a law firm, but instead, a unique practice built on care and competence. Call (03) 9078 6980 or enquire online for the complete personalised approach to separation without court. Separating? Are you and the Family Law Act worried about the same things? Probably not!